When the Hive merged with e*thirteen, a crankset and chainguide powerhouse was created. 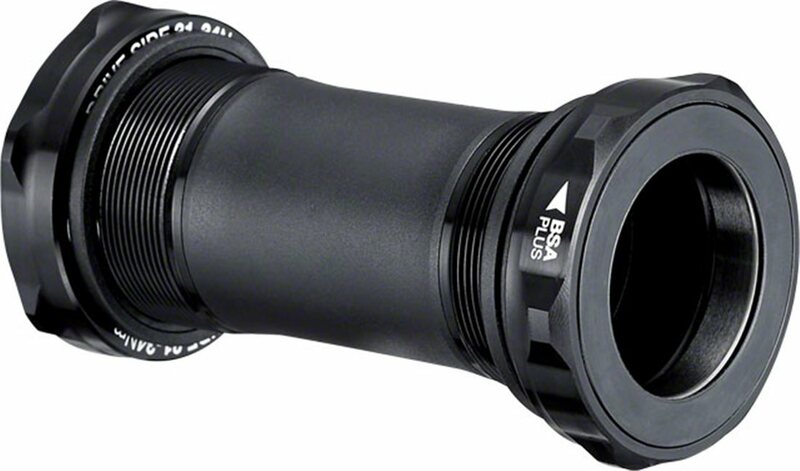 The e*thirteen 68/73mm Threaded BSA Bottom Bracket is designed from the ground up with radial contact bearings and custom seals for top of the line performance. It will adapt all e*thirteen 30mm cranks to 68/73mm frames. I was hesitant when I took the item out of the box. But I still installed them. Properly used the spacers etc. Riding felt like I added 5lbs of resistance to each pedal stroke. Got home and ordered the Race Face 30mm option. Compatibility w/ race face cinch 30mm spindle? will this work with race face 30mm cinch cranks? BEST ANSWER: Yes. I have a set of Next R cranks (Cinch) on there and they work great!